"I would treat this measurement like all stuff that I would measure. We're professional, so we have to treat it all the same, it's very serious,” said Mike Sippola with Barnes & Duncan Land Surveyors. "It's derailing except the hardest core Manitobans. I think when we get back to that minus seven to minus 10 stuff we'll see more international visitors show up,” said Masse. 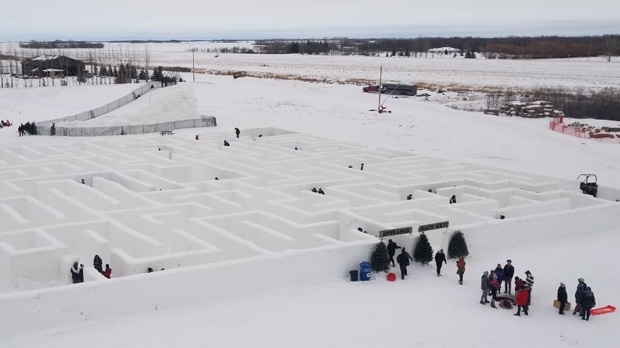 The maze's creators hope getting the designation of having the world’s largest maze will bring more visitors. Already they say people have come from as far as South Africa and Europe. "I'm impressed with how it's built. Looks pretty incredible," she said.